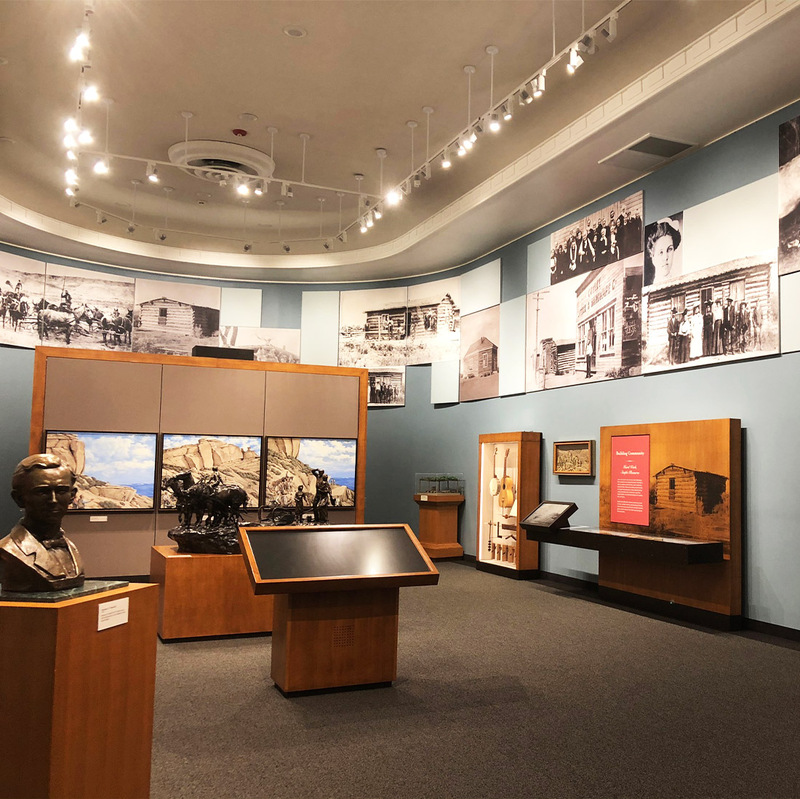 An ideal stop for families, art enthusiasts and those interested in Western history, the Historic Cody Mural and Museum welcomes visitors from the second Monday in May through the last Friday of September. It is open from 9 a.m. to 7p.m. Monday through Saturday, and on Sundays from 3 p.m. to 7 p.m.
Tours of the Historic Cody Mural and Museum are free, and on-site guides provide information and answer any questions. Special arrangements may be made for tour groups by contacting us. Whether you live in or around Cody, or are traveling to this area, make sure your list of things to do includes a stop at the Historic Cody Mural and Museum. Q: Where is the Historic Cody Mural and Museum located? A: The Historic Cody Mural and Museum is in the Cody, Wyoming, Chapel of the Church of Jesus Christ of Latter-day Saints at 1719 Wyoming Ave. Driving directions and contact information may be found here. Q: Is there a cost to visit the murals or museum? A: No. There is no cost to visit us, making it an ideal stop for individuals, couples and families looking for budget-friendly things to do in Cody. WY. Q: How long does it take to see the murals and tour the museum? A: As long or as little time as you wish. People spend as little as 20-30 minutes with us, and as long as two hours if they are particularly interested in the exhibits, or if they wish to learn more about the beginnings of the LDS church, the Mormon pioneer experience, the settling of the Big Horn Basin or building of the Sidon Canal. Q: Are tours self-guided or are we escorted throughout the building? A: Tours of the Historic Cody Mural and Museum are largely self-guided, allowing you to explore and learn more about the art and artifacts on display. Trained docent church service missionaries are available to answer questions and are happy to share information about any of the items you see. Q: Is your museum appropriate for children? A: Absolutely! Young visitors love to hear stories about the pioneers, including how they traveled across the plains, built homes and went to school in one-room buildings. We are happy to tailor information especially for them. Q: The Cody Murals are housed in a church. Is there a dress code? A: We do not require “Sunday dress” to visit our building or museum. We understand that you are on vacation or out exploring all that Cody has to offer and that you are most likely in comfortable, casual clothing. Casual shirts, shoes and pants/shorts/skirts are fine to wear as you visit our building. Q: I am not a member of the LDS/Mormon church. May I still visit the Historic Cody Mural and Museum? A: We welcome members of all faiths, as well as art enthusiasts, historians and anyone interested in learning more about Cody and the surrounding area. Q: Are Mormon missionaries at the museum? A: Yes, the Historic Cody Mural and Museum is staffed by volunteer missionaries. They are present to share information about the murals and the museum. Should you wish to learn more about our faith, they are happy to answer questions about the beliefs of the Church of Jesus Christ of Latter-day Saints.